Have you noticed that we are naturally drawn to people who exude positive energy? That we want to be around them or want to do business with them? Wouldn’t it be great to be such a person? Answer: By doing the things that you love, that you are passionate about. That may sound simple. Sometimes, however, we don’t know what we want and what we’re passionate about. Or we’ve lost our spark and don’t know how to get it back. 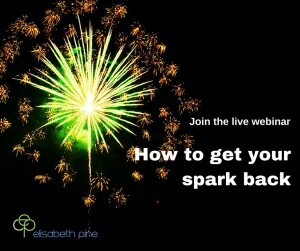 This webinar is for entrepreneurs and professionals who would like to change that. You will learn that (re-)discovering your passions is actually easier than you might think. So that you can attract the right people and create the opportunities you want.